can you help me? puo aiutarmi? does anyone here speak English? c’e qualcuno che parla inglese? what’s the matter? che cosa c’e? Can you show me how this works? Mi fa vedere come funziona ? Leave me alone: mi lasci in pace! go away! se ne vada! can you check the tire pressure? mi puo controllate la pressione delle gomme? where do I pay? dove pago? can I pay by credit card? posso pagare con la carta di credito? 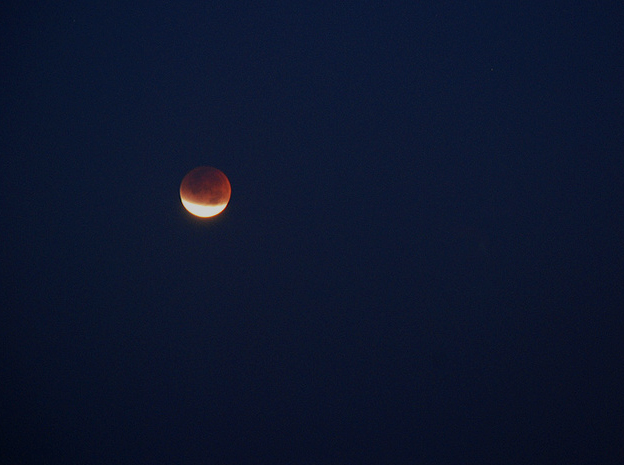 A lovely lunar eclipse. Luckily for other reasons that fund my holiday I am up all night. Before dawn today, the Earth’s shadow darkens the bright full moon and it was time to look up into the skies. It lasted an hour and a half, to go from dull to dusky brown to orange red, depending on how dusty your subdivision was. A lunar eclipse occurs when the full moon and sun oppose one another in space as the Earth in between shadows the entire moon surface, but some indirect sunlight hits the moon surface. The earth’s atmosphere filters out most of the sun’s blue light but the red frequencies light up the moon rocks. The moon is always safe to look at so you can gaze or use a telescope/binoculars. There is no visual danger. The outline of the Earth shadow is always curved because we are round, wrote Aristotle historically but without fully realizing we are a blue ball. Tonight was one of the longest lunar eclipses we have had so I hope you caught it in time. Chabot had a “Once in A Red Moon” all night viewing party with lunar themed music from 2200 last night. There have been 58 lunar eclipses this century and they continue to fascinate me. Mythologically they have eerie significances. The partial eclipse began at 0151 PST, totalling from 0252 until 0422, then partialling until 0524. I hope you were out there to catch it. 2006 – Trick question. Not so fast. You have to oak age for two years to the Monday beforeyou release or sample.